Was the Afghan War Worth It? And a quick interview I did with Chinese TV from last March where I briefly discuss how a military first US foreign policy has led to war, chaos and terrorism throughout the Muslim world. RT: Peace talks between Afghan officials and Taliban representatives have ended with both sides agreeing to meet again after the Islamic holy month of Ramadan. After more than a decade of war the Afghan government and the Taliban are finally talking. Was it worth the thousands of lives lost, both military and civilian? Matthew Hoh: No, it wasn’t and I think the proper way to look at the Afghan War, as you look at all wars or all conflicts, is not in an isolated vacuum or is because of one solitary event, in this case the last fourteen years of the war in Afghanistan as being caused by the Al-Qaeda attacks on 9/11. However, it should be viewed as this is a war that has been going on continuously since the 1970s. The US provides weapons to organizations bent on continuing wars thus it’s not surprising that this leads to escalation of conflicts instead of resolving them, Matthew Hoh, senior fellow at the Center for International Policy, told RT. RT: President Obama now wants ground troops to fight ISIS. Is this a tacit acceptance that airstrikes weren’t effective? Matthew Hoh: Yes, it’s the acknowledgement that airstrikes were not successful. I think this is something that most of us who were skeptical of the American reentry into the Iraqi civil war and American entry into the Syrian civil war knew. It was just a matter of time before the president would buckle under and commit to putting American troops back into Iraq and into Syria. RT: Obama says authorization for use of military force in the fight against Islamic State is not a request for another ground war. What do you make of that? MH: I don’t believe that or understand why anyone would believe that. If you look at American policy over the last 15 years, particularly since 9/11 you see one mischaracterization, one blunder after another, all mischaracterized as an attempt to install democracy, to promote stability and peace. And what has occurred throughout the Middle East as a result of American intervention has been more chaos, more bloodshed and more instability. This notion that somehow there is not going to be a ground war is belied by this authorization itself. In that authorization it says there will be no enduring ground troops meaning that there will be no permanent ground troops. And the president can put as many troops into Iraq, into Syria and into any other places where he deems Islamic State is operating with the caveat that they are temporary and not permanent. So really it’s just semantics to hide the fact that the United States is going to find itself again in the Middle Eastern civil wars. RT: The US President also said he wants to be able to use limited ground troops in certain situations and for a limited time. What does that actually mean? MH: It means whatever he wants it to mean. Just six months ago he was saying there would be no ground troops and slowly as this war has accelerated and escalated, as airstrikes have not worked, as Islamic State has just gained in strength because of the Americans getting involved in the conflict in basically endorsing the Islamic State’s propaganda, its purpose in being. You’ve seen the administration have to commit now to putting in ground troops. Go back to when the president authorized bombing Syria just 4-5 months ago and he utilized Yemen as a model of success that we were going to base our operations in Iraq and Syria on the Yemeni model which was successful. Of course since then the Yemeni government has been overthrown, the United States has had to evacuate its embassy from Yemen and overall the entire country is in chaos. So you saw how quickly that model fell apart and it never had any semblance of reality toward success. RT: Islamic State is not only limited to Iraq and Syria – it also has active members in Algeria, Egypt, Saudi Arabia, and Yemen. Can you imagine a situation where the US moves against them too? MH: I don’t believe so. I don’t believe the US has the interest of putting ground troops, mass amounts of ground troops, certainly it will use drones and special operation forces in those countries. But I do think you’ll see the US limiting its ground troops, in the sense of conventional ground troops, battalions and brigades, soldiers, tanks, trucks, those kinds of things to Iraq and Syria. RT: Well, talking about Yemen, the US has been sending arms to the country to fight terrorism. Now the reports say the equipment is in the hands of rebels. Is it surprising? MH: It’s not surprising. 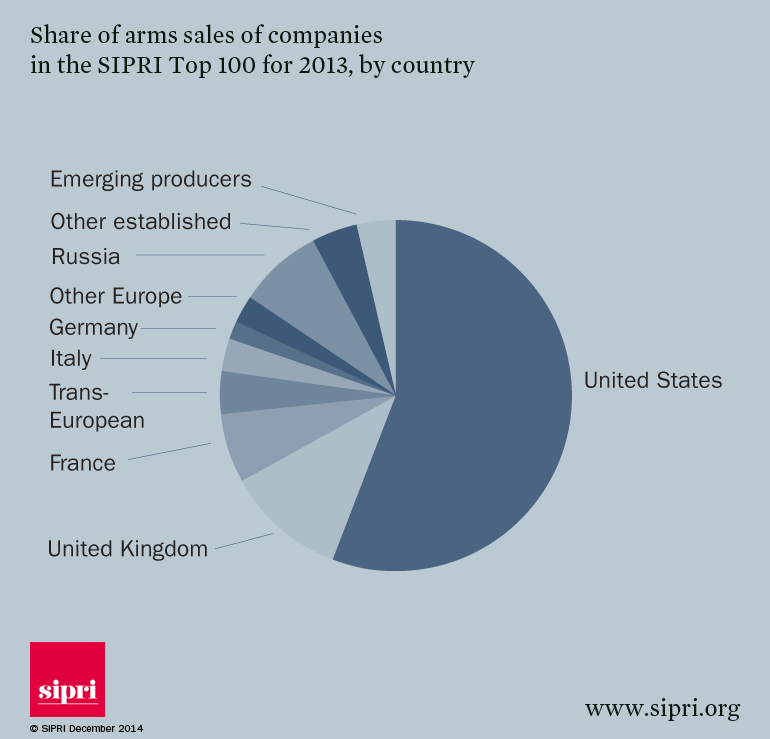 The US is the largest arms merchant in the world. By some estimates it provides three quarters of the world’s arms. So we are a factory for other oppressive regimes or for these revolutionary movements. And of course when the regimes are overthrown or these movements fail or become scattered, or become more radical, a case in point is what happened in the 1990s in Afghanistan. You have the US providing munitions, weapons, arms to all sorts of organizations that are bent on continuing the wars. It’s not surprising that our weapons we provide to Yemen have ended up in the wrong hands or in hands that are choosing to escalate their conflict further. RT: Can this policy help to bring peace eventually? MH: No, it’s certainly not. This is adding kerosene to burning fires. This is a policy that is fraught with moral negligence as well as practical inconsideration. Where this policy has worked where the United States has sent mass amounts of weapons to an organization or to a government or to what we describe as rebel groups that the result has been peace and stability? Almost always it results in greater civil wars, longer escalations. And now we see the US is looking to send arms to Ukraine which will only serve to solidify the regime in Kiev but will do nothing to promote any type of peace or stability or long-term solutions in that conflict. RT: Why do they keep on trying to resolve various crises around the world by sending arms to then? MH: I think there are a number of reasons. One of course is the money. This provides billions of dollars every year to the American arms industry. That arms industry, which by some estimates is the second largest export the US has after agriculture, provides a lot of campaign donations for politicians. It provides a lot of support for academics, intellectuals, and people in think-tanks to come up with policies, to promote American intervention abroad which then requires more arms purchases for US military use or sold to other client states… If we are selling arms to one country that means that country is on our side. And for many in Washington DC who simply view the worldin an us-versus-them approach, it’s a way to keep the score of whether or not a certain country is on our side, is a client state, or is opposed to us. So there are a number of reasons for this, none of which serve to promote any form of stability or peace in the world. Chuck Hagel’s disagreement with Obama’s position on the Iraq, Syria and Afghanistan wars is most likely behind his resignation. The administration didn’t expect him to speak against the White House, former State Department official Matthew Hoh told RT. RT: You’ve seen this machine at work from the inside. What do you think is behind Chuck Hagel’s resignation? Matthew Hoh:I think, of course, there is much more to this story than simply “Chuck Hagel no longer worked well with the administration.” I think you could tell by how quickly and how viciously the White House anonymously attacked Chuck Hagel as soon he announced his resignation. There were a lot of personal attacks against Hagel: he didn’t have leadership, he couldn’t do the job, he wasn’t up to the task, and I think any time you see the administration or the White House so quickly denouncing somebody, you know automatically there is another story to this. And what I believe to be case is that Chuck Hagel does not agree with the Obama Administration involving American troops in the middle of the Iraqi and the Syrian civil wars. And he is in disagreement with the American re-escalation of the war in Afghanistan that was just announced this past weekend. RT: Judging by yesterday’s warm hugs between Obama and Hagel, the personal relationship between the two is quite friendly. How sincere were those smiles and handshakes? MH: It’s Washington DC; it’s the Hollywood of politics. So, absolutely. I think may be in earlier time it could be described there is how cordial relations were among politicians, among elected leaders, among our senior people. But now it’s just as you described – it was a show. RT: Recently Chuck Hagel became quite critical of the administration’s policy in Syria and Iraq. Do you think this made him an outcast in the White House? MH: I think for the administration not to expect Secretary Hagel to be vocal or to speak up would have been be a very big mistake for them in their understanding of Secretary Chuck Hagel. Chuck Hagel earned the national reputation in the United States about 10 years ago or so for going against the Iraqi war. Chuck Hagel is a republican and member of President George Bush’s party and he very famously went against the Iraq war. So for the Obama Administration to have thought that Chuck Hagel was pliable, someone who was just going to go along with whatever decision they made and not to offer disagreements whether in private or in public, I think that was a huge mistake on their part. And so I think as I said as the story unfolds and as we get more perspectives on it, we’ll see the level of disagreement that was within the administration, within Obama’s Cabinet between Secretary Hagel and more hawkish members. RT: Chuck Hagel is known for his anti-militaristic approach to U.S. foreign policy. Now that he’s going does it mean the Pentagon will become more aggressive? MH: I think, unfortunately, the administration has bowed to pressure from both within the administration, from those in the administration who are beholding to a pro-intervention or a “military-first” policy as well as to very hawkish or warmongering senators on Capitol Hill. So I think the Obama Administration has made a commitment to expand America’s role in the Iraqi and Syrian civil wars. I think that is a cycle that will only worsen and deepen. Case in point – Afghanistan – where the United States escalated the war in 2009.Five years later, there is no end in sight for the war, the Afghan people continue to suffer, the government remains incredibly corrupt, the Taliban are stronger and the drug trade is the only industry in the country. I think what’s happening with American re-escalation of the war – sending American troops back into combat – is that President Obama is bowing to pressure, feeling stoned by abusing criticism that he is not tough enough. He is recommitting American troops to the war in Afghanistan, so that he cannot be criticized for ending the war prematurely. [But] they have been there for 13 years and that war, according to polls it has an 83 percent unfavorability rating in the United States, and is most unpopular war in American history, even more unpopular than the wars in Iraq or Vietnam.